Here in Indiana, we’ve begun 2014 with a snow storm. Listening to the weather forecasts on the radio takes me back to my childhood in England, listening to BBC Radio Four. The broadcast day would always end with the news at midnight, followed by the Shipping Forecast – giving all the weather details necessary for the thirty-one shipping zones around the U.K. Finally, the listener would be serenaded with the soothing strains of “Sailing By” as the radio drifted towards the silence of night. 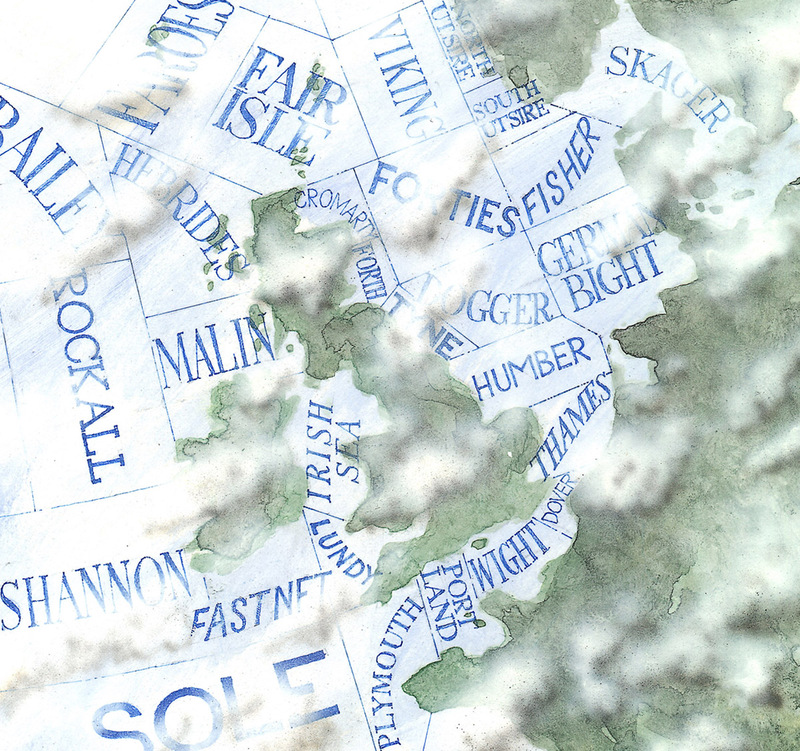 There is such poetry in the Shipping Forecast, at least to me. The piece that follows really needs to be read aloud. Preferably while wrapped up warm indoors. Happy New Year to all! the Maritime and Coastguard Agency at 2300 UTC today. There are warnings of gales in all areas except Trafalgar. moving away northeastwards by midday tomorrow. by same time. New high expected Thames 1025 by that time. Southwest 6 to gale 8, veering north 5, then veering east 4 later. Moderate or rough, becoming slight or moderate. Occasional rain. 7 to severe gale 9. Rough or very rough, occasionally high in northwest. Posted in dVerse, England, sea, weather. Bookmark the permalink. so lots of snow in indiana right now?